10. 03. 2019 20:35 21 (1 - Ogier Sébastien / Ingrassia Julien): It has always been a special place, I am glad it is still happening that way. It was not a trouble-free weekend for us, but I am glad it finished with no problems. Corsica for sure will be the same target, take the win and maximum points. I'll celebrate on the plane with some champagne and then at home with my wife and my little one. 10. 03. 2019 16:55 19 (1 - Ogier Sébastien / Ingrassia Julien): Driving clean for sure, but I need to keep the speed because they are pushing hard for sure. 10. 03. 2019 15:02 18 (1 - Ogier Sébastien / Ingrassia Julien): It is good now to be here and in the lead because that is most important. It has not been a smooth day, it started with a puncture and then it has been a hot day and we had a small problem with the differential in the final stage. The notional time I got for SS10 was probably slower than the time I would have got so I don't think it was lucky the red flag came out. 10. 03. 2019 03:14 17 (1 - Ogier Sébastien / Ingrassia Julien): For sure I was still pushing, I did a silly mistake on the first loop, it was a lot wetter compared to yesterday and it was a lot slippier, I finished it in the tyre wall. Tomorrow I have to finish the job. 10. 03. 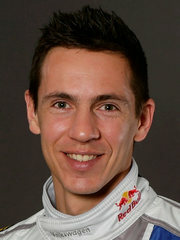 2019 03:10 15 (1 - Ogier Sébastien / Ingrassia Julien): I think behind me they are both pushing very hard so I can't relax. 10. 03. 2019 03:03 14 (1 - Ogier Sébastien / Ingrassia Julien): For sure it is not flat out push, just protecting the lead. This stage is very slow, very sandy and very low grip. 10. 03. 2019 03:00 13 (1 - Ogier Sébastien / Ingrassia Julien): I had a very clean drive, I'm happy with the stage. The car is feeling good, so far so good. 10. 03. 2019 02:56 12 (1 - Ogier Sébastien / Ingrassia Julien): It's not been a trouble-free morning because we picked up the puncture first thing and without a spare you have to be careful not to make any mistakes. 09. 03. 2019 16:09 10 (1 - Ogier Sébastien / Ingrassia Julien): Puncture was a bit earlier but we had a red flag so we had to stop. There were stones on the road that were pulled on from the car ahead, I couldn't avoid them. 09. 03. 2019 02:35 9 (1 - Ogier Sébastien / Ingrassia Julien): It's been an almost perfect day apart from a puncture on Las Minas. We made the best of third on the road. 09. 03. 2019 01:06 7 (1 - Ogier Sébastien / Ingrassia Julien): We had a puncture in this one but it is okay. We lost a bit, probably first place, but hopefully still I have a good start position. 08. 03. 2019 23:44 6 (1 - Ogier Sébastien / Ingrassia Julien): So far a good day for us. One more real stage to go, and we must manage it well. 08. 03. 2019 23:40 5 (1 - Ogier Sébastien / Ingrassia Julien): A little bit better - the grip is better than this morning. 08. 03. 2019 18:57 3 (1 - Ogier Sébastien / Ingrassia Julien): It's good. 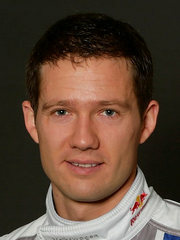 The first stage was very difficult, very slippery and I struggled to find any confidence. In this one the grip was better and it was a bit more enjoyable. 08. 03. 2019 17:58 2 (1 - Ogier Sébastien / Ingrassia Julien): It felt terrible, the grip is very low. I'm not comfortable in the car. I don't know why. Difficult.